Leave a message. A funny/pathetic sheet of emergency instructions, found on the Anti-Defamation League website, reprinted as a poster by Gardar Eide Einarsson, acts as a kind of standard ‘last words’: a useless backup plan, plan B, the 6 P’s… In 1970, Vito Acconci had two girlfriends. 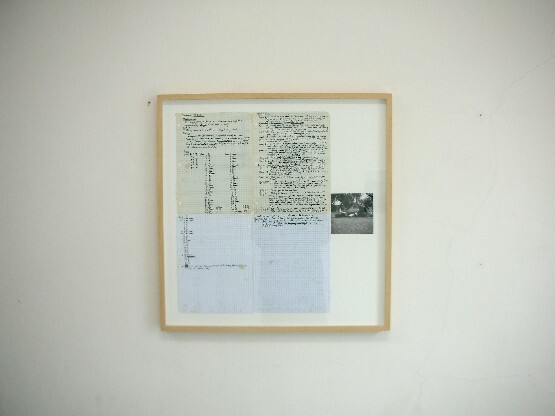 He tried to make an art project out of it, and this is what’s left: an aborted piece: a couple of pages torn from a diary, documents of an impossible, deranged, satanic project. Finally, maybe there just isn’t much to say? Jay Chung sends an invitation to a party we weren’t invited to, or that never happened. 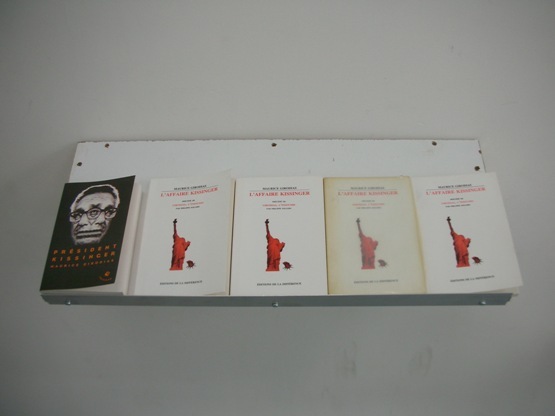 “Comment un livre peut précipiter son éditeur dans la déchéance totale”– the story of a man playing a tragic character in his own autobiography, more book than man, Maurice Girodias. It’s after hours at the gallery—the roll down door is closed, the heating is off and it’s cold, it’s dark. A private viewing, a small party, a funeral. Come in through the back door, if you can find it, and down the dark hallway/pissoir. The final show, retirement party, closing up shop, going out of business sale, nothing more to say: we are going into business. 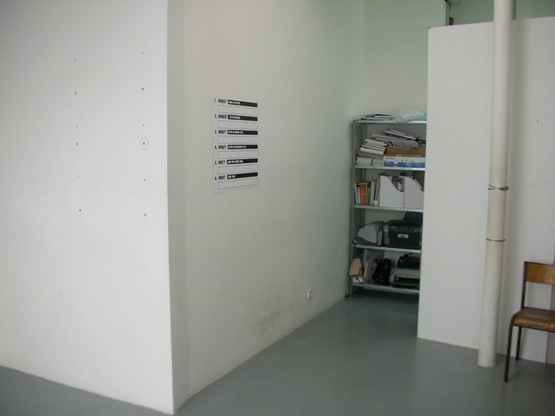 castillo/corrales is a new collectively-organized commercial gallery based in Paris-Belleville. 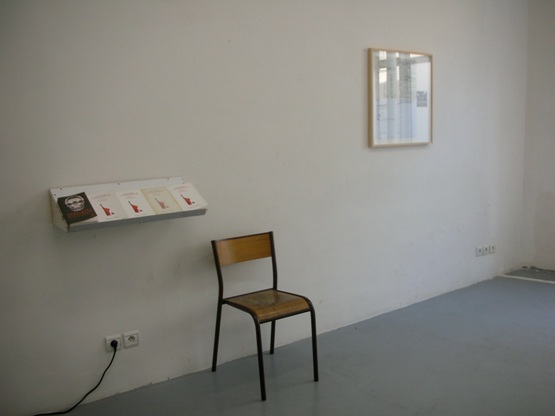 Conceived as an ‘empty room’ to stage the various activities of a group of artists, curators, critics and writers, each month the gallery presents a thematic project. Reflecting the multiple purposes of the space, the exhibition program combines original artworks, commissioned limited-edition projects, and selected books and objects. Organized as a series of chapters, beginning with the final exhibition and working backwards, each project obliquely reveals the preceding one.